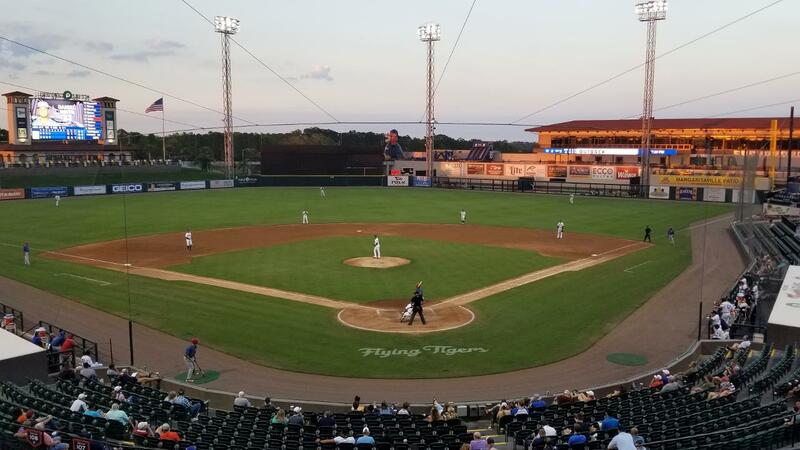 LAKELAND, Fla. - The Clearwater Threshers could not climb out of an early deficit on Thursday night, dropping the finale of the four-game series against the Lakeland Flying Tigers, 2-1. Damon Jones (0-1) surrendered both runs in the first inning. The lefty walked Luke Burch to start the first before striking out Kody Clemens. The 6-foot-5 hurler surrendered a single to Brady Policelli to right field. Danny Mayer's throw to third caromed into Threshers' dugout, allowing Burch to score on the play. A.J. Simcox tripled home Policelli to put the visitors in a 2-0 hole. Jones settled down after the 27-pitch first, blanking Lakeland (5-3) over his final four frames. The Twin Falls, Idaho native picked up eight more strikeouts during his five innings of work, giving the 24-year-old 16 punch outs in his first two starts. Clearwater (2-6) avoided the shutout with a run in the ninth on Nick Maton's blast into the bullpen in right for his first home run of the season. Ervin Rodriguez (1-1) earned the win for the Flying Tigers by holding the Threshers off the scoreboard through six innings. Wladimir Pinto (SV, 2) picked up his second save of the season with one run allowed in two stanzas. Clearwater heads home to Spectrum Field to take on the defending Florida State League champs, the Fort Myers Miracle, for a three-game series beginning Friday night. RHP Alejandro Requena (1-0, 1.80) takes the bump for the Threshers against the Miracle's LHP Tyler Watson (0-1, 7.20). First pitch is scheduled for 6:30 p.m., with coverage beginning at 6:15 p.m. on threshersbaseball.com. Friday's contest features a Threshers Hat Giveaway presented by Crime Stoppers. The first 1,000 fans through the gates will receive a free Threshers hat.